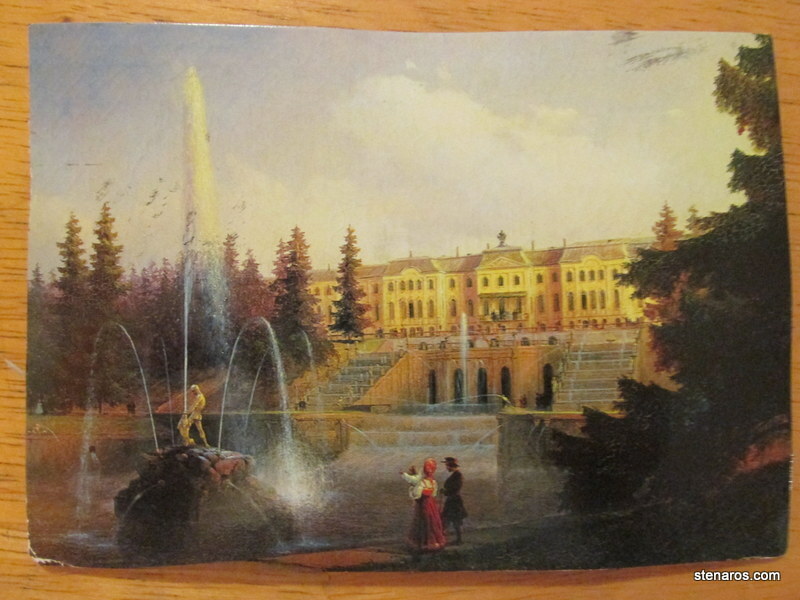 Sveta sent me this pretty view of Peterhof Palace which you can visit in St. Petersburg. 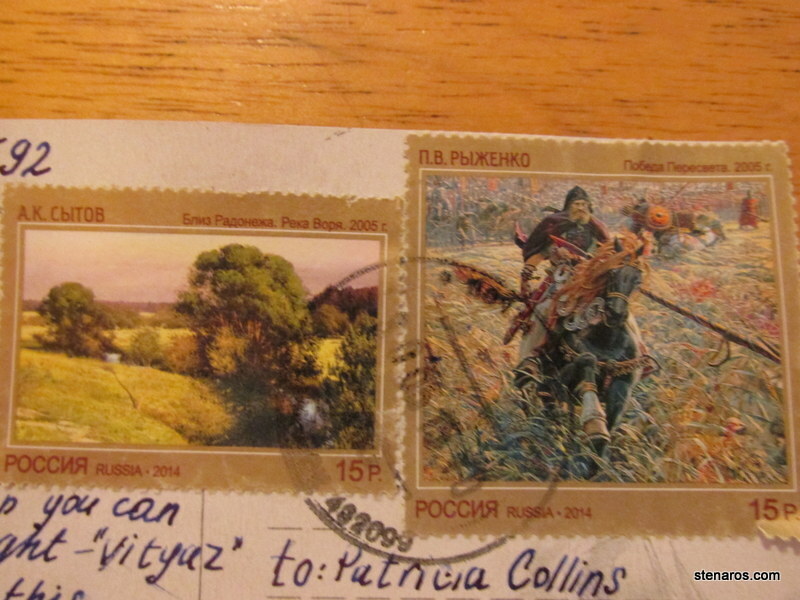 She also included a stamp with a Russian Knight “Vityaz” Wikipedia has the following links to that word. I always wondered what Trimet worker had that job. Think about it. Every stop in the metro area has at least a piece of paper saying what routes service the stop and the stop ID number. Bigger stops have a full poster including bus schedules for all routes. Train stops and some transit centers have multiple posters with schedules. Who are the people who are always making sure these are up-to-date? Today, I caught a picture of one of them. 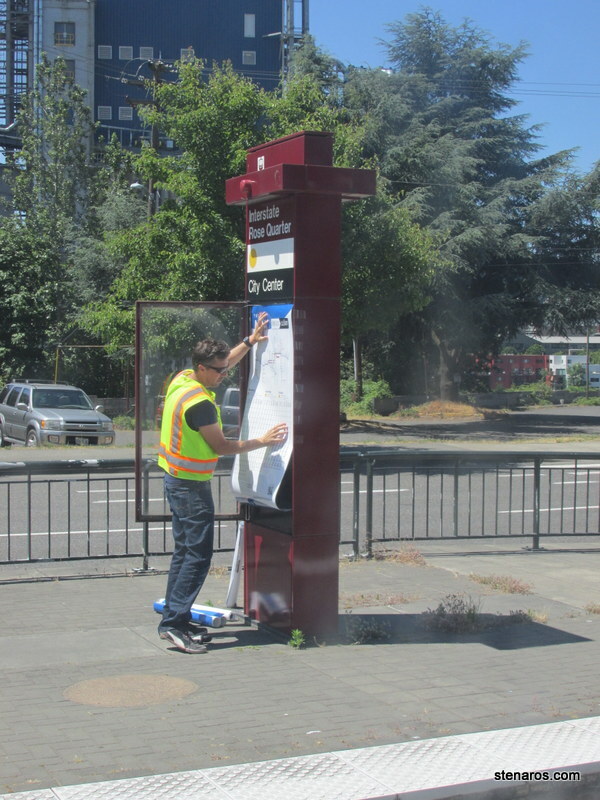 Posted on June 18, 2015 January 28, 2016 Categories All (-ish), To Occupy my TimeTags car-free2 Comments on I always wondered what Trimet worker had that job. Cost: Free due to Kelly’s Fandago gift card (given to her by regular commenter Jan) $10.17 worth of snacks were purchased also. That was a pretzel for me and a soda for her. Where watched: Regal City Center 12, with the aformentioend Kelly. *Slight downside. 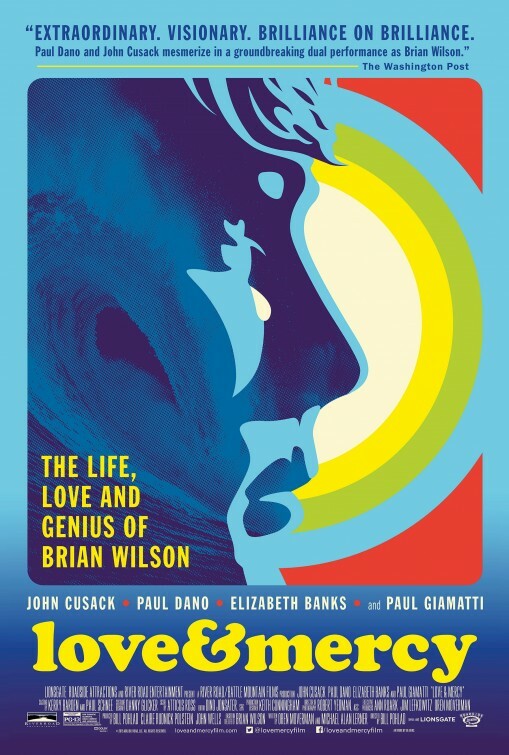 You will have Beach Boys songs in your head for a very long time after seeing this movie. But it will be worth it.